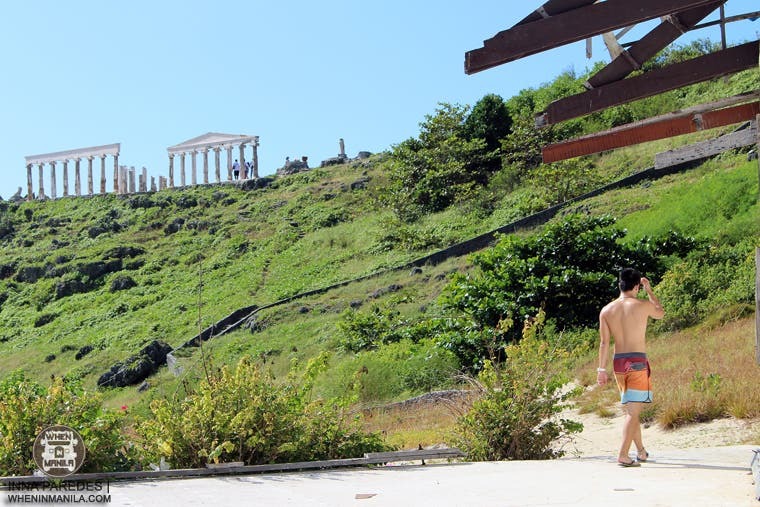 “Parang hindi sa Pilipinas!” was one of the reactions I got after I posted a photo of pillars that look like they came from Greece’s acropolis. 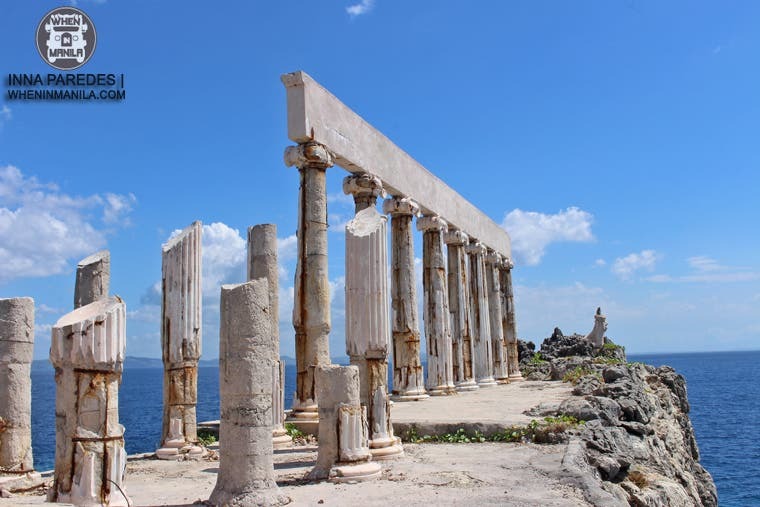 It makes me proud to say that the photo was actually shot here- Batangas’ Fortune Island– and I was fortunate to have visited such a stunning destination (see what I did there?) that’s home to structures which appear so ancient they’re slowly being reclaimed by nature. So, is the travel bug stinging you yet? What and where exactly is Fortune island? 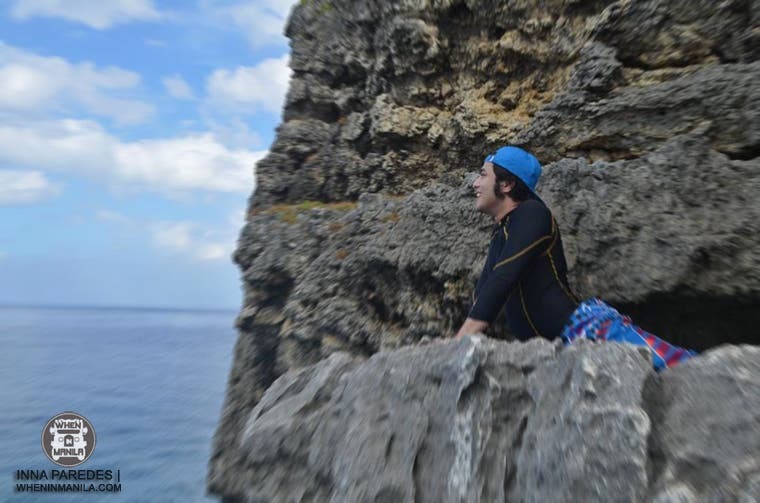 It’s located about 14 kms off the coast of Barangay Bucana, Nasugbu Batangas. 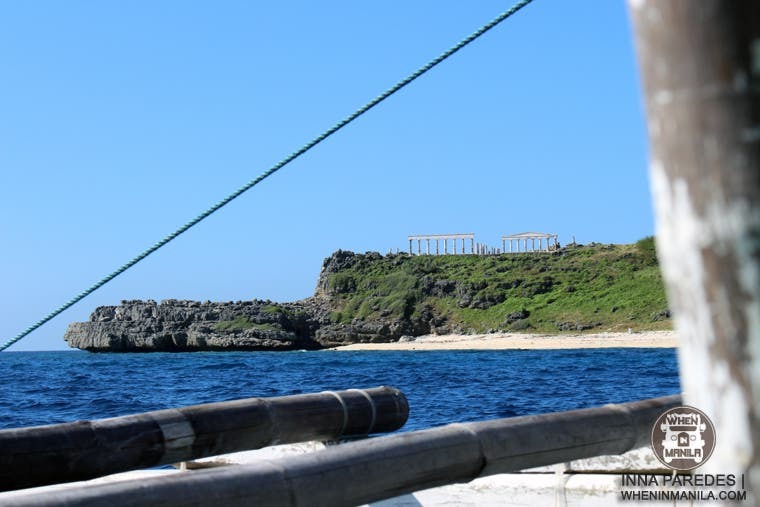 The 27-hectare island was a luxury island resort club long owned by Ex-Batangas Governor Antonio Leviste. It closed down in 2006 but the remnants of what it was in the past still remain. Barangay Bucana, the jumping-off point to the island, is accessible from Manila by private vehicle and by commute. In our case, we rented a private bus from Quezon City to Nasugbu which passed through SLEX and Tagaytay. Travel time was around three (3) hours with stopovers. 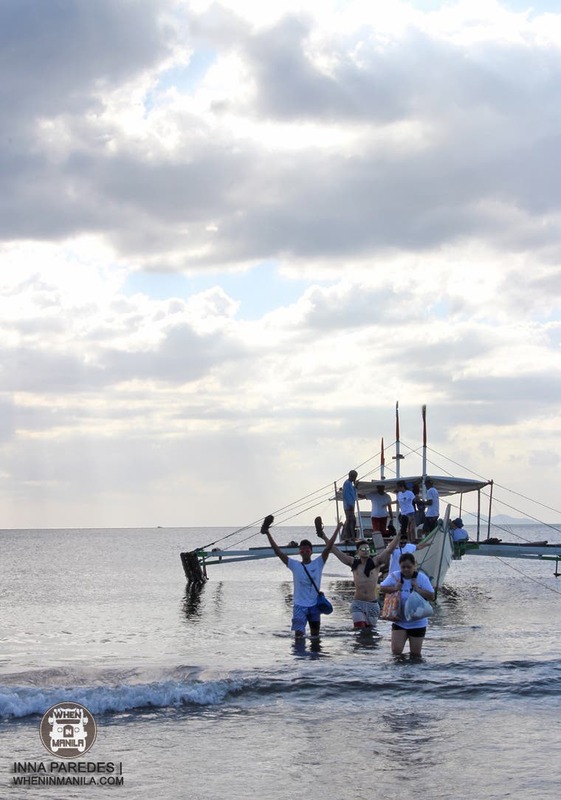 Our arrangement included a 2-hour boat ride with a maximum capacity of 35 people to and from the island and packed lunch delivered at a set time. 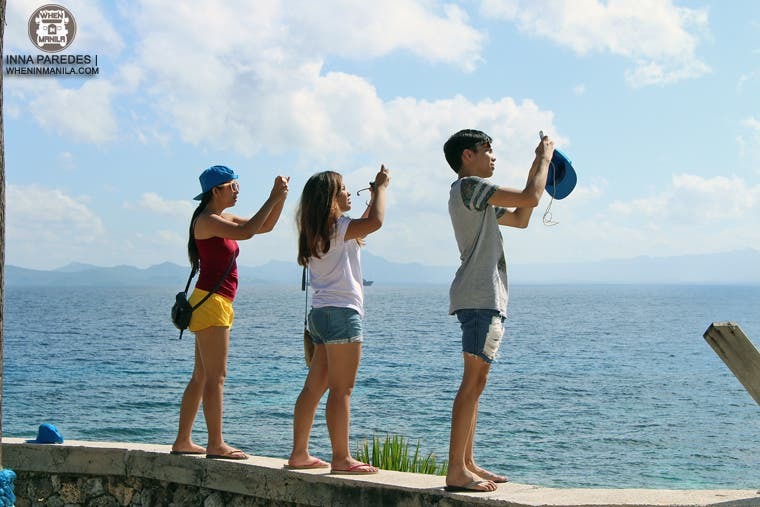 Our group of 28 paid P750.00 each for everything. Price was already discounted as we were a big group of students. This trip required us to bring our own travel necessities like sun block, extra clothes, water (lots and lots), and most importantly garbage bags because, albeit there’s a small group of caretakers based on the island we thought we’d be responsible tourists and not leave any of our trash. Of course being an abandoned island, accommodation, stores or similar establishments along with water, electricity, and working toilets were absent. For those who spend the night, they bring their own camping and cooking equipment. Survival mode on! Our group visited the island resort for a day tour and honestly I didn’t expect much. I thought that the beach wouldn’t be clean and the island would be unexceptional. 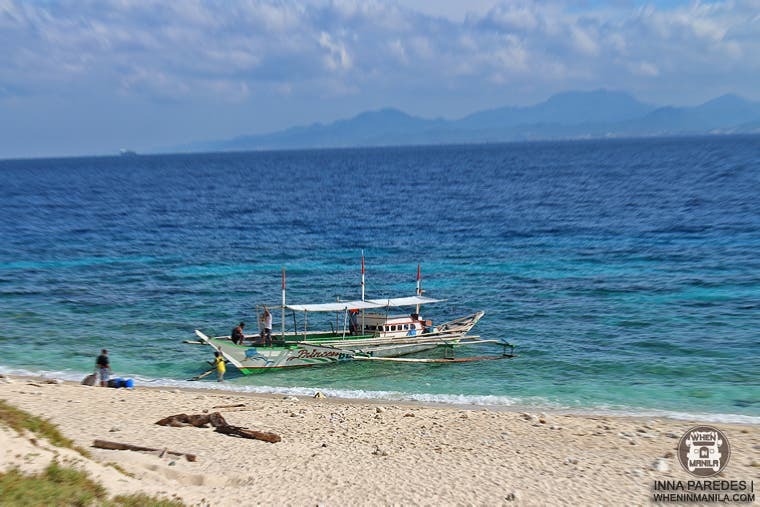 All my initial thoughts of the island changed the moment I sank my feet into the powdery soft, white sand. I could have lain on the sand like a dried squid right then if it weren’t for the formidable heat! Sea the turquoise and sparkling water! Getting past the lack of amenities, there’s still so much to do and so much to see! 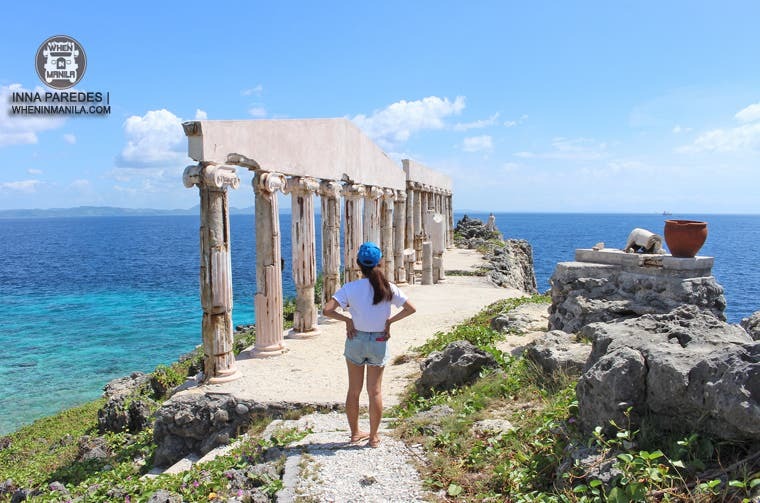 You could swim or dive into the cool waters that surround the island and go snorkeling to see the fish and crabs, take photos framed by dilapidated structures and sculptures of mythical creatures and take a hike to the island’s light house. Groups can also camp overnight and host numerous team building activities. Imagine the campfire ghost stories! 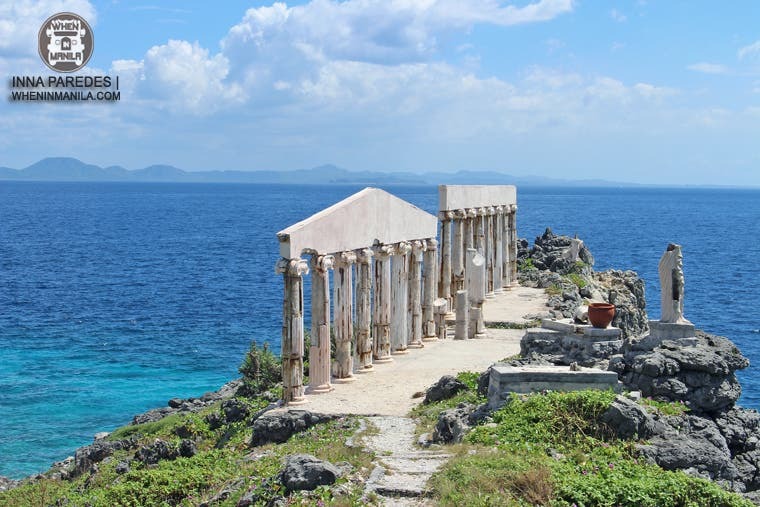 So if you’re looking to satisfy your wanderlust for a place that reminds people of the Mediterranean but is only a couple hours away from Manila then X marks the spot, with X in this case being a small patch of land called Fortune Island. There are other sights scattered across the 27 hectares of the island and for the curious, those sights would be great rewards. Remember when you get the opportunity to go on an adventure, just go. Our contact to the boat rental and packed lunch was Mommy Sarah (09178976842). Rates for the boat rental below may have changed since the last update. 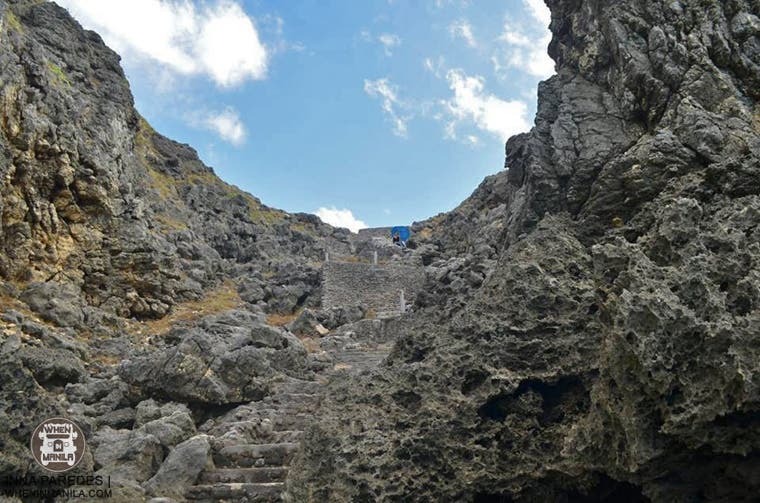 Fortune Island was part of a Nasugbu and Calatagan, Batangas itinerary. If interested in the tour package, you may contact AJ at 09178976842. *Credits to Allie Dizon and Giezel Gumahad for helping me with photos. 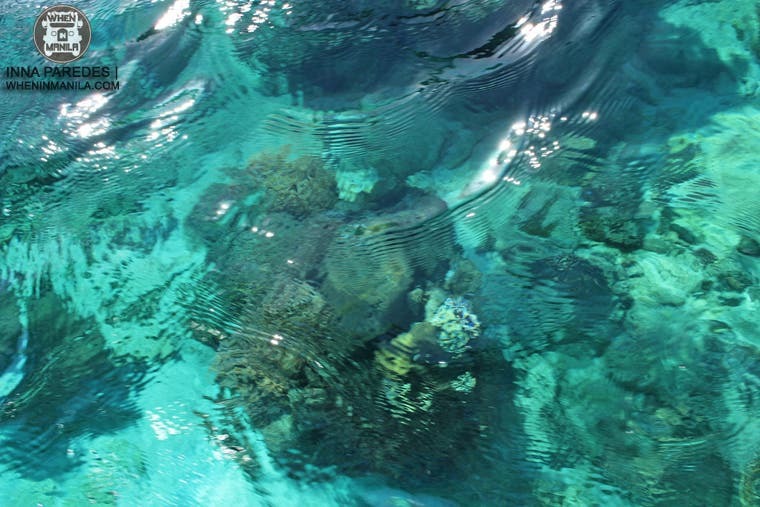 TRAVEL: Here’s How You Can Go On A Luxurious Trip To Maldives On A Budget!